We will help you choose the right line for your product and packaging! Our Direct printers connect to a computer, so switching over for product and batch changes is easy, and immediate. No long swap over times, no left-over labels and possible mix ups. Off-line coding system for sleeves and flat boxes. Automate your date codes and variable data package marking ( weight, CBD, THC content, batch number, expiration dates and more). 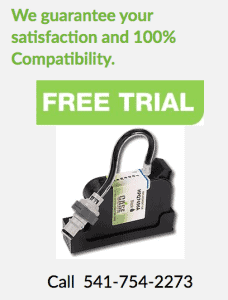 Can print fixed data, logos and barcodes. 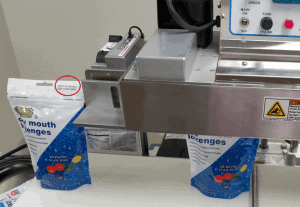 Low upfront costs make this an ideal entry-level solution for automation to replace manual labeling. Thermal InkJet makes no mess, is odor-free and requires almost no maintenance, making it a great solution for oils, flowers, extracts and edibles. Allergens* (if applicable) — The word “Contains,” followed by a list of any major food allergen in the product. The major food allergens are milk, egg, tree nuts, wheat, peanuts, soybeans, fish or crustacean shellfish. Use the specific food name when disclosing allergens (i.e. “almonds” instead of “tree nuts”). “FOR MEDICAL USE ONLY”* (if applicable) — Manufacturers must include these words on the label if the product contains a THC concentration that can only be sold in the medicinal market. 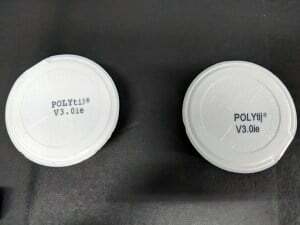 Cannabinoid content (in milligrams) – Cannabinoid content may be added to the label by the manufacturer before testing or on the distribution premises after testing.